Tile Monthly Magazine - All About Tile and Stone - It's free! • Free magazine — No strings attached. • Articles, How-to’s, Important tips, Industry news. • Installation and Materials Sources. • Your information kept secure and confidential. Welcome to Tile Monthly, the first and only informational tile magazine published for consumers. Our first issue (in e-zine form) will be going out soon, and you can receive your copy by subscribing right here or anywhere on the Internet you happen to see a Tile Monthly subscription link. And yes, Tile Monthly is free – won’t cost you a dime. Also, we guarantee that the small amount of information we ask you for will not be sold or otherwise divulged. You will be added to our email list only. We don’t need your phone number or mailing address. No catch. The publishers of Tile Monthly, John Bridge & Associates LLC, have a strong desire to inform consumers of the standards that govern the installation of ceramic and stone tiles in North America. We will also address the fabrication and installation of natural stone slabs. We want to impart the best practices and techniques currently in use and to warn you of some of the pitfalls that are possible when you invite someone into your house to install tile or stone. We offer this as a means of curbing the criticism the tile setting trade has endured over the past couple of decades. We want to reassure you that ceramic tile showers, for example, are still the best, bar none, and that done correctly a tile shower will easily last the life of your house and longer. 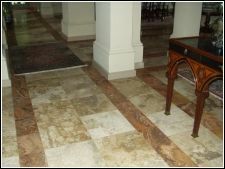 –	Concise, easily understood articles on correct tile and stone installation. –	How-to’s which will enable you to tackle some of your own tile work. –	News on what’s happening within the industry. –	Tips on how to pre-qualify and hire top-notch installation professionals. –	Sources for tile and stone supplies and information on how to buy tile. 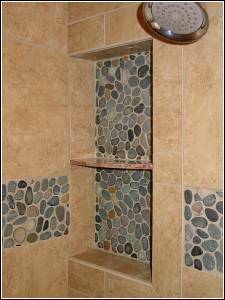 –	Classified ads offering tile and stone services by region. Tile Monthly will be sent to you in PDF format, which can be easily opened and read using Adobe Reader. Each issue will be archived right here on Tile Monthly.com as soon as the subsequent issue comes out, so by subscribing you will receive the magazine one full month before it is made public. Each month you will receive an email with Tile Monthly attached. The email will also contain an “unsubscribe” link that you can use should you want to end your subscription. We know you won’t want to do that, but the link will be there. John Bridge & Associates LLC operates the John Bridge Tile Forums – in existence since the year 2000. John Bridge.com has become the most visited tile information site on the Internet and a gathering place for tile and stone professionals who are interested in improving themselves and furthering the interests of the tile community. You are cordially invited to join our group, both here at Tile Monthly by subscribing, and there at the John Bridge Tile Forums by participating or simply browsing. We welcome you. The tile community welcomes you. Subscribe to Tile Monthly now.